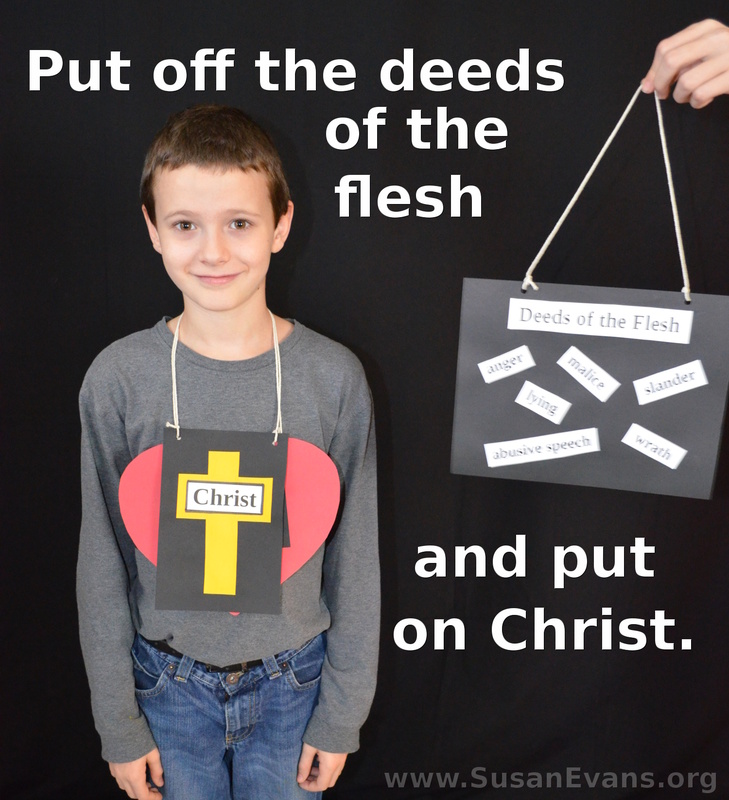 Here are some fun Colossians activities you can do with your kids to internalize this book of the Bible. You will need card stock paper in various colors, string, a hole punch, scissors, and glue. You will also need a computer with a printer so that you can print out various words. Put a blindfold on a child and have him walk around in darkness. How did it feel? Ask: Did you bump into things? Were you disoriented? This is what happens when we walk in sin. It leads us astray and ends up hurting us. When you take off the blindfold, your eyes are full of light, and you can see where you are going. There is safety and peace when you walk in the light. 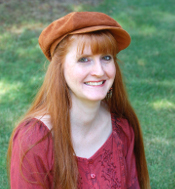 Print out the deeds of the flesh, which include anger, malice, slander, abusive speech, and lying. Print them in bold letters from your computer, leaving plenty of space around each word so that you can cut them out and paste them to a piece of black card stock paper. Punch two holes in the top of the paper, and tie string through each hole, making sure to leave enough space for a child’s head. The child can now wear the deeds of the flesh around his neck (see above illustration). 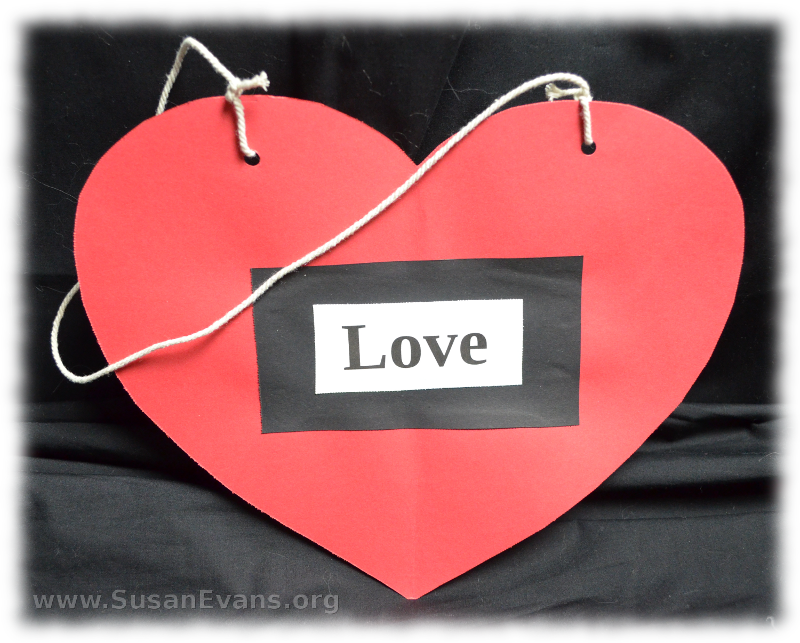 Now you can make another card stock sign of love. Cut out a heart from red card stock paper, and print out “love” from your computer. Glue the label to the heart. Hole punch two holes on the top of the heart, and the child can put off the deeds of the flesh and put on love. Explain what it means to put on Christ. This means we are to yield to Christ and manifest the fruit of the Spirit in our lives rather than the deeds of the flesh. We are to encourage each other with Psalms and hymns and spiritual songs, so go ahead and obey the verse by taking out some hymn books and singing your favorite hymns. 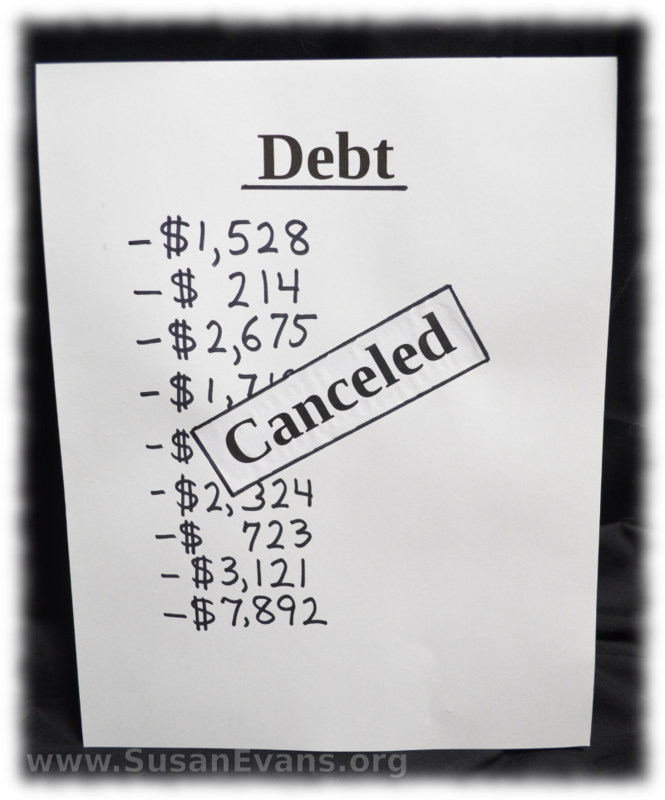 Print out a sheet of paper with the title “Debt.” You can show negative money numbers listed on the paper. With a pen, mark “Cancelled” over the debt. You could also print the word “Cancelled” on another sheet of paper and glue it over the debt. I outlined the word “Cancelled” with black marker. Talk about how our debts (our sins against God) have been nailed to the cross and cancelled because of what Christ did for us. You could have kids mention specific sins, and write “Cancelled” in another colored marker over those sins to represent that the sins are now gone because they have been forgiven if we have repented of them. If you enjoyed these Colossians Activities for Kids, you will love the huge Bible section inside the Unit Study Treasure Vault! This entry was posted on Monday, June 15th, 2015 at 6:55 am	and is filed under Bible. You can follow any responses to this entry through the RSS 2.0 feed. You can skip to the end and leave a response. Pinging is currently not allowed. The kids learn a lot when you can demonstrate each concept! Ha ha ha ha ha, I went to pin this only to discover I’d already pinned it.